Downtown Dallas apartments and lofts offer residents the best of an attractive and walkable downtown living experience. Live-well surrounded by some of the best restaurants in Dallas and one of the largest art and cultural districts in the country. Enjoy easy access to the Trinity Grove bridges with park land near by and biking, and running trails. 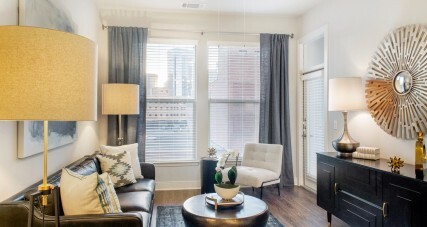 The West End is an excellent choice for apartment living in Downtown Dallas.